Just some Misc. 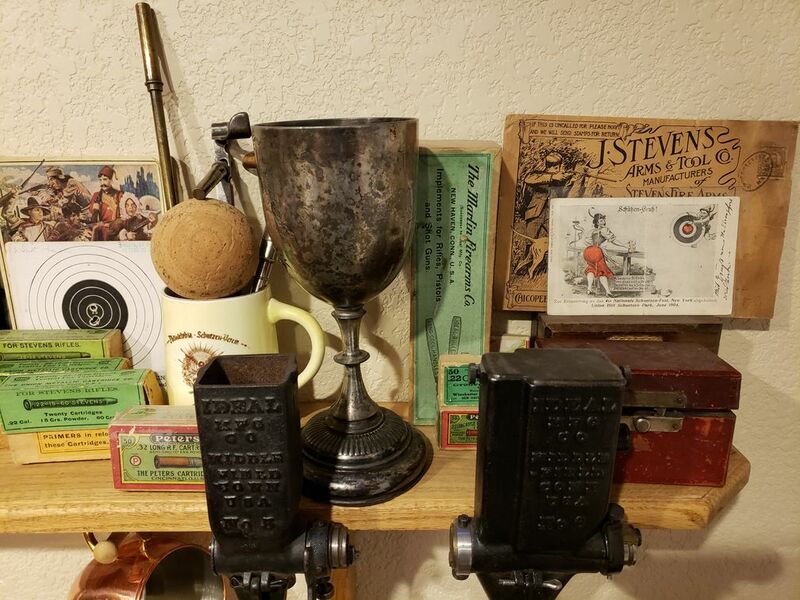 Marlin and Stevens Rifle and Schuetzen Related Stuff (of course some cool cartridge boxes!) that hang out behind the bar and in a cabinet. Last edited by oodmoff; 03-27-2019 at 11:25 AM. MarlinManCB45/70, Travlin, ironhead7544 and 8 others like this. Nice. 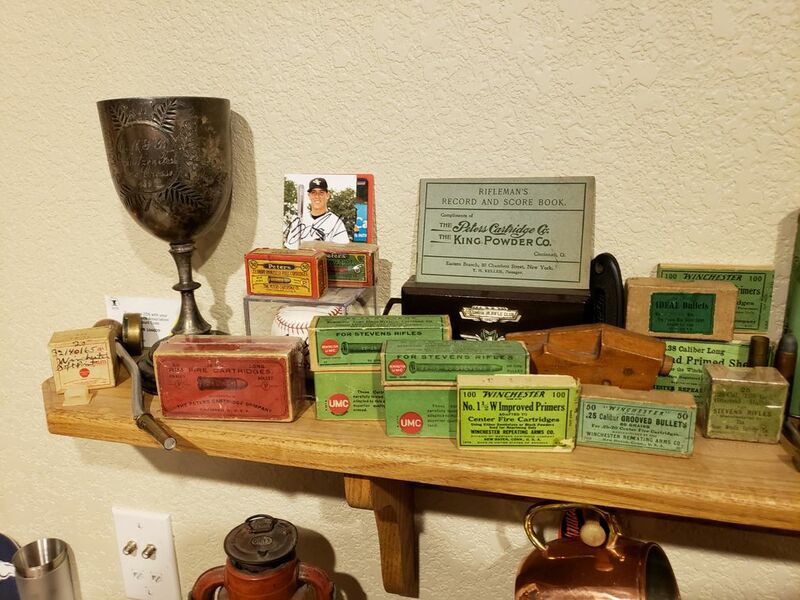 I love those old box's. is that it satisfies, when you don't have the dough to purchase a rifle....the boxes and paper where always thrown out! cajun56, JACKTW and MarlinManCB45/70 like this. I just like to think of us as being caretakers of it for a while...trying to preserve a little history..
Mike 2010, MarlinManCB45/70 and cajun56 like this. A blast to the past. 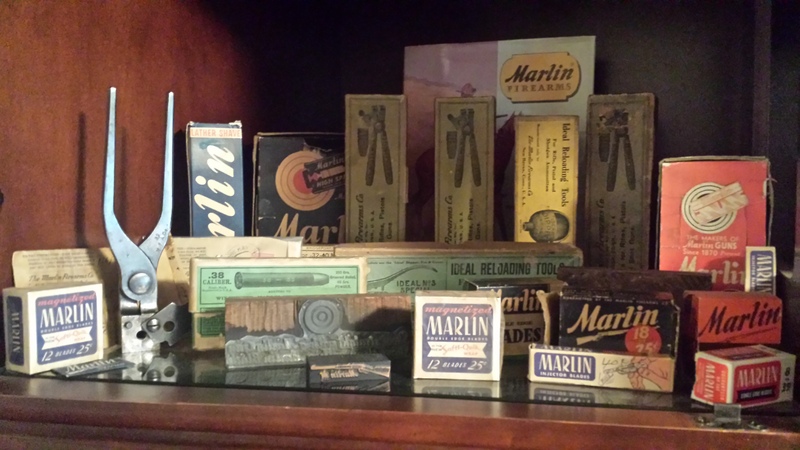 Viewing your pics reminded me of my Grandpa's shelves where he kept ammo and reloaded. I'd bug him with questions and Gramps was always very patient answering my question and taught me a lot at a young age. 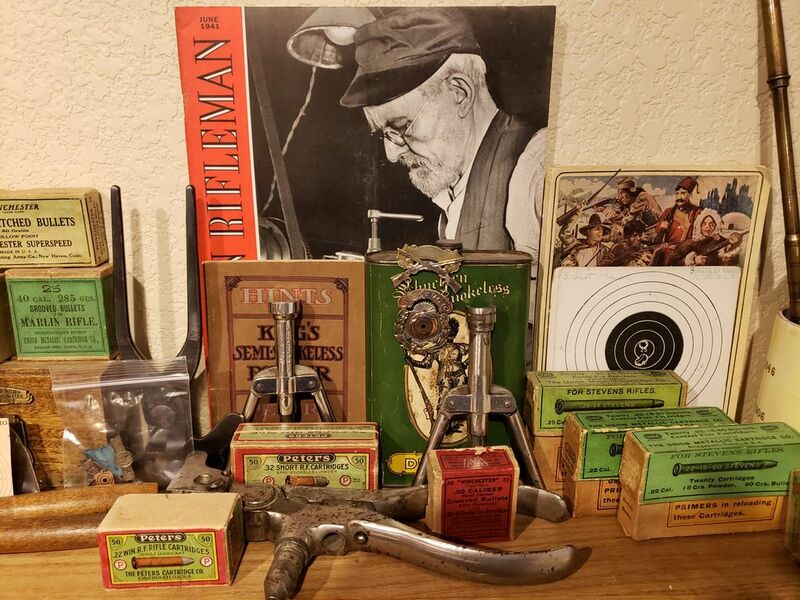 I was hooked and got into reloading in my teens. 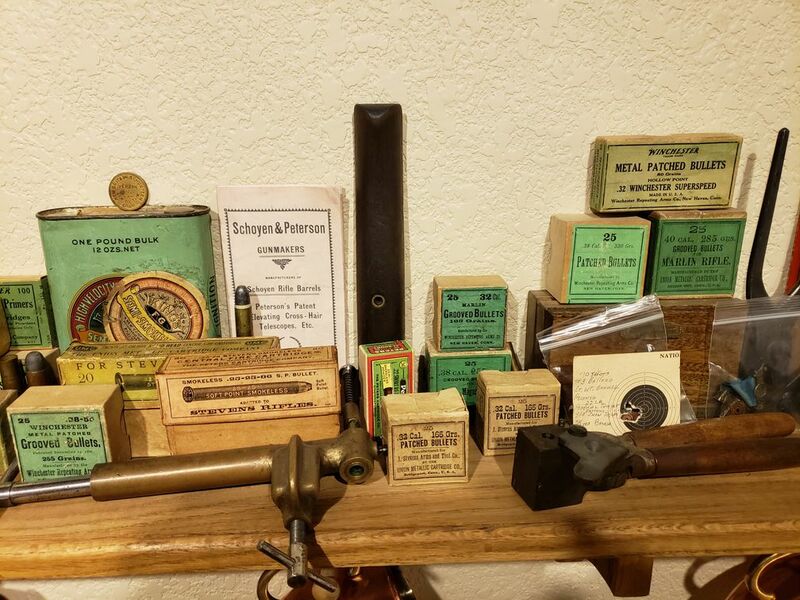 Love your collection, keep it growing. MarlinManCB45/70 and oodmoff like this. By marauder in forum The 45/70 Govt.